Advanced Materials Applications, LLC (AMA) is pleased to announce our name change to Yosemite Space. This change reflects our primary focus on developing innovative products for Space applications. In late October 2014, a Yosemite Space experiment using state of the art System on Chip (SoC) technology will be deployed in the NanoRacks External Platform outside the International Space Station. This platform will expose the components to space radiation and communicate the status of the Yosemite Space payload back to Earth. Information on computing performance will be used by Yosemite Space to develop next generation reliable computers. 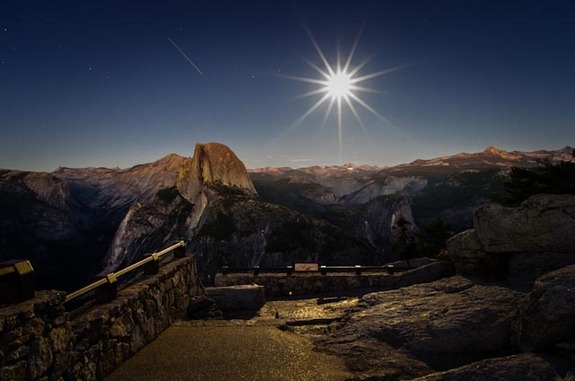 The Yosemite Space logo was inspired by the Space.com photograph of the International Space Station traveling across the night sky above the spectacular landmark Half Dome. Special Update: Our payload was bumped from the Oct. 2014 flight. Final flight date is still pending.